Breathe. Just... breathe. 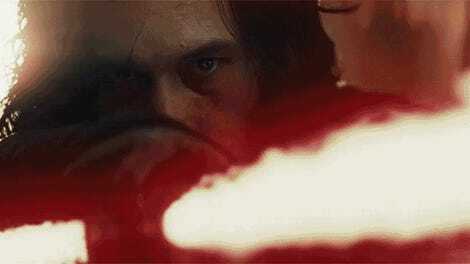 The second trailer for Star Wars: The Last Jedi is finally here. If you’re like me you may have just screamed. Teared up. And just froze in shock out of all of the stuff we just saw. Porgs! Finn vs. Phasma! Kylo and Leia! SNOKE!!! SNOKE AND REY! KYLO AND REY! AHHH. I need to watch this again and again. And then again and again. Now that the trailer’s here, movie theaters have begun begin selling advanced tickets to the film; opening night is Thursday, December 14, and there are all kinds of special events and giveaways. We’ll have a frame by frame breakdown in the morning. Oh, and there’s a new poster too!